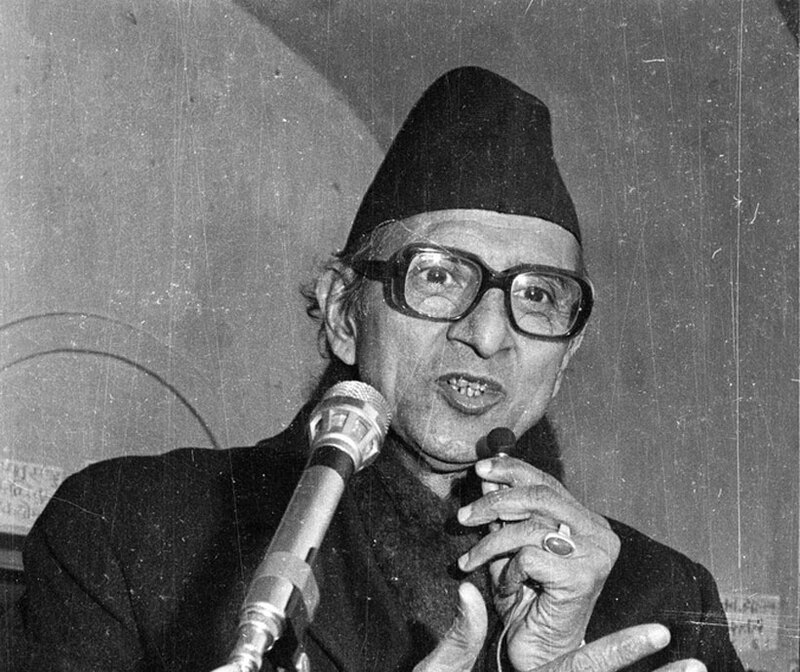 On December 30th, 1976 BP Koirala ended his exile and returned home. 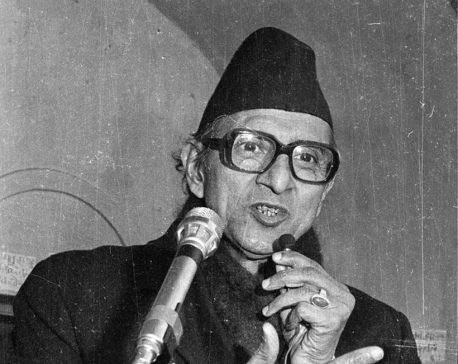 He had been in exile in India after his eight years of imprisonment in Nepal following king Mahendra’s dismissal of the country’s first democratic government in 1960. The king’s anti-democratic actions deprived people of their fundamental rights. The party-less Panchayat was then proclaimed. About a dozen cases of state treason and sedition were filed against Koirala, who was in reality fighting for people’s basic rights. Fabricated charges could attract even death sentence. But BP set aside his friends’ advice not to return and thereby risk his life. ‘Personal safety is of little consequence in the face of a danger threatening the very existence of the country,’ BP told them. This historic and courageous decision was taken when the wave of Cold War was sweeping across the globe. After a close and careful assessment of emerging geopolitics, BP issued an appeal to citizens. Reading that statement today offers a number of insights about the country’s current situation. The current crisis has its roots in 1960, when common people were barred completely from the governance process. Internal power politics had come under heavy influence of geopolitics. This had paved the way for external interests to start intriguing in Nepal. Today, the prolonged political transition in the country has become a national crisis, making our national politics more fluid and uncertain. This led one Nepali prime minister to say in 2011: ‘Nepal’s key lies elsewhere. Power is not in my hands and most Nepali actors are mere pawns’. This indicates the extent of foreign influence in our domestic politics. BP’s fears of the implications on Nepal from the fast changing geopolitical currents in South Asia and the world have become more pronounced today. ‘Our country is now facing a national crisis… And this could endanger the very existence of our nation,’ he had said. He was of the view that our national unity can be established only on the basis of a united campaign and combined effort of people from all walks of life. Had it been possible to attain unity only through sloganeering, our country would not have been reduced to this deplorable plight, with its unity torn apart in the course of the past 16 years. In our country, BP had said, all those years ago, there is a hold of self-seeking, communalist, individualistic mentality and a tendency to look up to foreigners. In such a situation ‘nationalism is the first casualty’. BP told Nepali Congress (NC) workers that in the history of every country there is an hour when the people stake their lives to defend the integrity and independence of their motherland. Nepali Congress, he said, had fought for democratic rights and now it faced another responsibility, ‘to save the integrity of the country. We have to understand the present problem of Nepal from two angles: nationalism and democracy’. He said that if we considered only one of the two responsibilities we would be committing a great blunder. And if we stress on democracy alone, we may not take part in resolving the national crisis, and could be oblivious to foreign interference. Similarly, if we consider nationalism as our only priority, there would be slogan-mongering and propagation of empty nationalism, something we have witnessed in the past 16 years, leading, ultimately, to authoritarianism. So we have to understand that national unity can succeed only on the base of democracy and only this can lead to economic development and just economic order. And so, BP held, ‘nationalism, democracy and economic development are interdependent’. BP’s warnings have been unheeded, despite big political transformations of past forty years. Political parties are immersed in nationalist rhetoric. Nationalism minus genuine democratic commitment has done incalculable damage to national unity and social harmony. There has been increasing ethnicization of politics and politicization of ethnic communities, lessening mutual tolerance. This is weakening Nepali nationalism. The current stand-off seemingly emanating from the constitution amendment bill in the parliament is symptomatic of the declining faith in democratic resolution of our problems. The only elected body in the country has been taken hostage and turned into a ‘do nothing’ House. Instead of untying the Gordian knot, the priority seems to be to fuel fear and despair for power gain. Democracy is defamed and discredited. Opposition parties are protesting. But our past shows that the greater the protests in Nepal, the more the space for outsiders to meddle. If obstructions and protests continue, the divides between the hills and plains will grow and ethnic divides will deepen. The notion of US vs THEM will widen and fault lines along primitive nationalism will expand. The animosities, thus resurrected, will only serve strategic interests of foreign powers. Such a situation will invite foreign forces. Let us not forget that the nation was forced to seek the help of the United Nations for protection of human rights and peace process. Geography has not become irrelevant despite great technological advancements. Convulsions wait in the complex garbs of identity and religion. Nepal with its sensitive geostrategic location between China and India remains highly vulnerable to the maneuvering and counter-maneuvering of both established and emerging powers, which we will ignore at our peril. 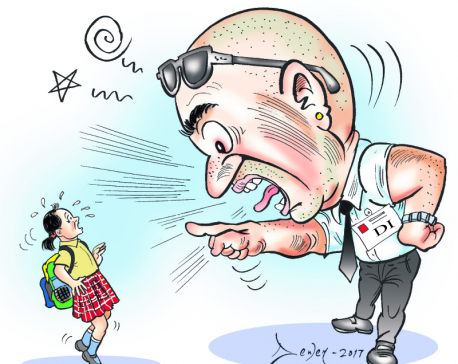 Nepali leaders must do more than play on jingoism. They must display courage to work towards inclusive nationalism, for the larger good of the country. We must not overlook the youth force. They are susceptible to all kinds of propaganda and provocations in a climate of economic, social and physical insecurity. As populism makes inroads, radicalism will engulf our youth. 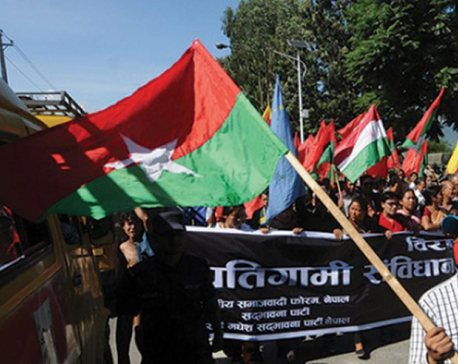 Addressing the concerns of Madheshis is not beyond the statesmanship of Nepali leaders. US Senator Daniel Moynihan said: “Everyone is entitled to his own opinion, but not to his own facts”. Parties should show the courage to face the facts. In this perilous period of competing and conflicting pulls, the country needs an enlightened leadership. There is no alternative to national unity and reconciliation. Time to reflect on BP’s visionary approach!